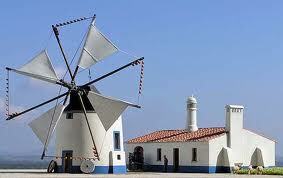 Exposed to the strong winds of the Atlantic Ocean, Portugal has a long tradition of using the power of the wind. 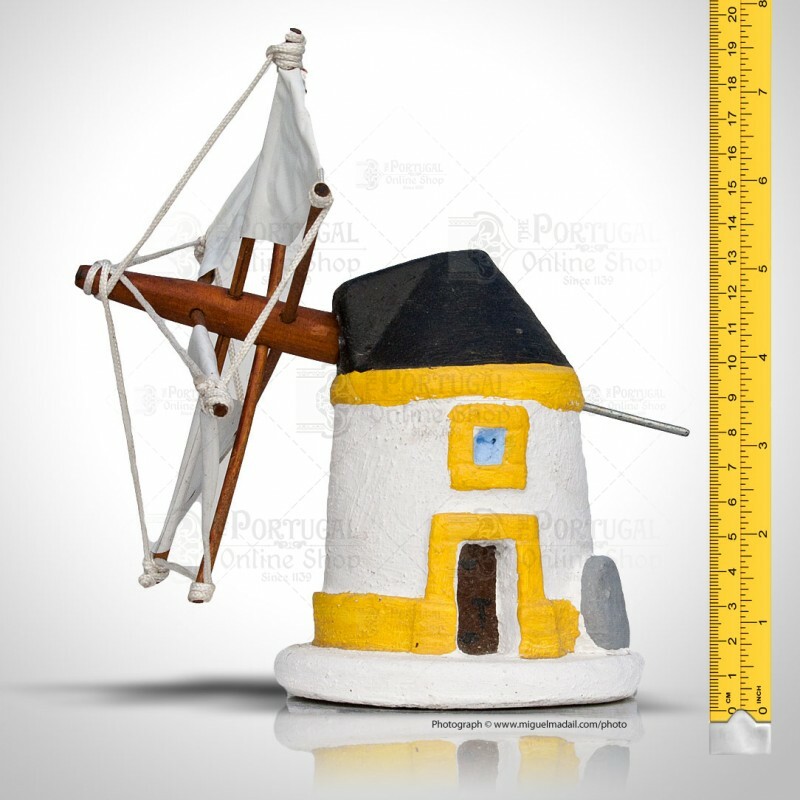 This is a typical Handmade miniature windmill from the region of Alentejo and Algarve specifically the ones seen in the beautiful beach village of Odeceixe. 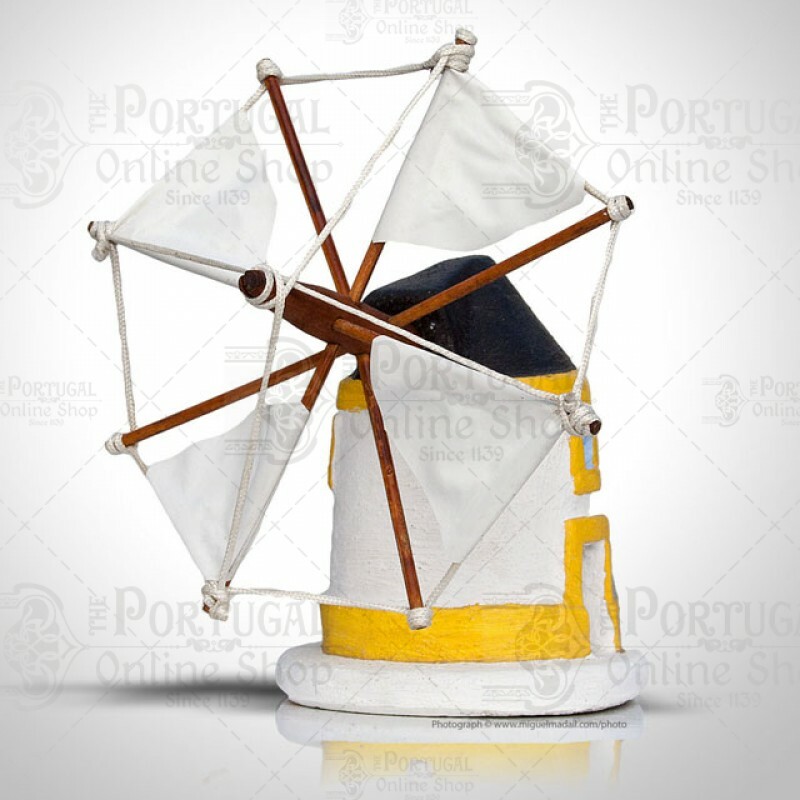 The sails are fully removable and rotational, as you can place it outside and see them spin freely at the wind! It's a real treat! Full Size: approximately 19.5cm / 7.7 inches. Without Sail: Approx. 13.5cm / 5.2 inches. The first existing records from the windmills are related to some horizontal spinning wind device, dated from the X century, located somewhere in the ancient Persia. It's appearance in Portugal goes back to 1182, referring to a windmill in Lisbon. However, one can claim that these already exist for 1000 years in Portugal. For a long time they were rare in the National territory, given the primary existence of water mills. The traditional Portuguese windmill characteristics are a result of the mix of a Eastern mill, introduced into the Iberian Peninsula by the Arab, and the Northern European windmill. We can divide the existing windmills in Portugal in three types: Tower windmills, Rotating Windmills, and Framed Windmills.